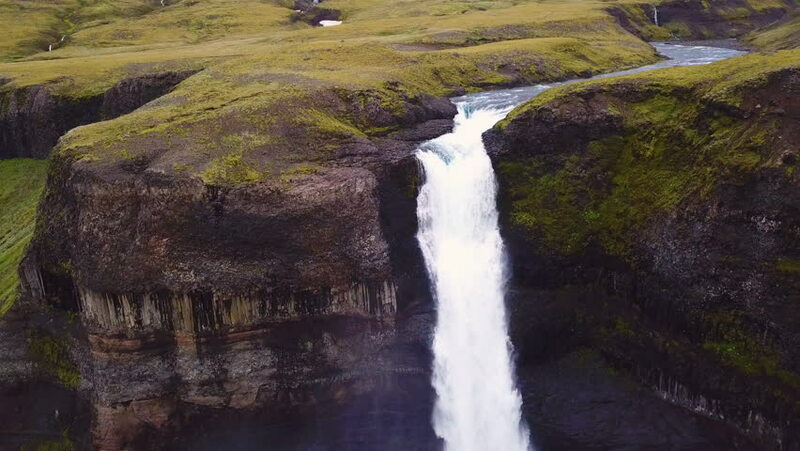 ICELAND - CIRCA 2018 - Aerial over the beautiful and amazing high waterfall of Haifoss in Iceland. hd00:30Aerial view of famous Voringfossen waterfall in Norway, popular tourist attraction. hd00:19Morning view of Seljalandfoss Waterfall in summer. Iceland, Europe. Full HD video (High Definition). 4k00:20Iceland Waterfall Seljalandsfoss in Beautiful Icelandic Landscape. Famous tourist attraction and natural landmark destination on the ring road. hd00:16Skogafoss, Iceland scenic waterfall. Static beauty shot.